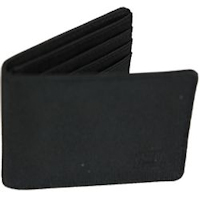 This RFID secure nylon wallet will protect up to 6 cards from electronic pickpocketing. 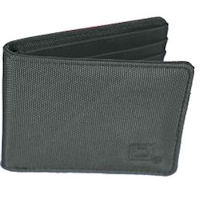 There is a larger pocket behind each bank of credit card slots, which is also shielded, for additional storage. These nylon wallets are extremely durable and water and tear resistant. 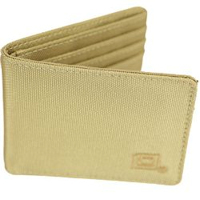 They have an embroidered logo. 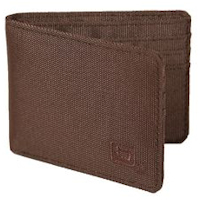 The compact size of this nylon wallet makes it a comfortable fit for your pants pocket.